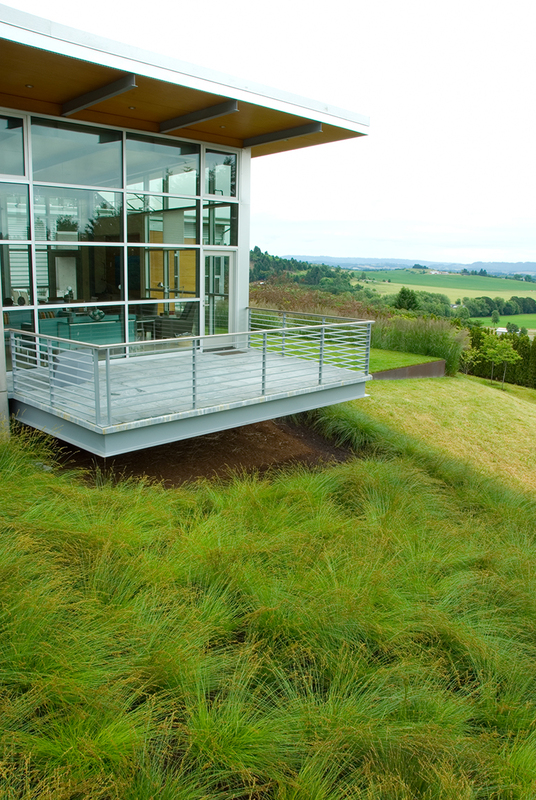 A California transplant purchased this home in the wine growing region of the Willamette Valley in Oregon. A former walnut orchard, the property is set amongst the area’s rolling, agricultural hills. 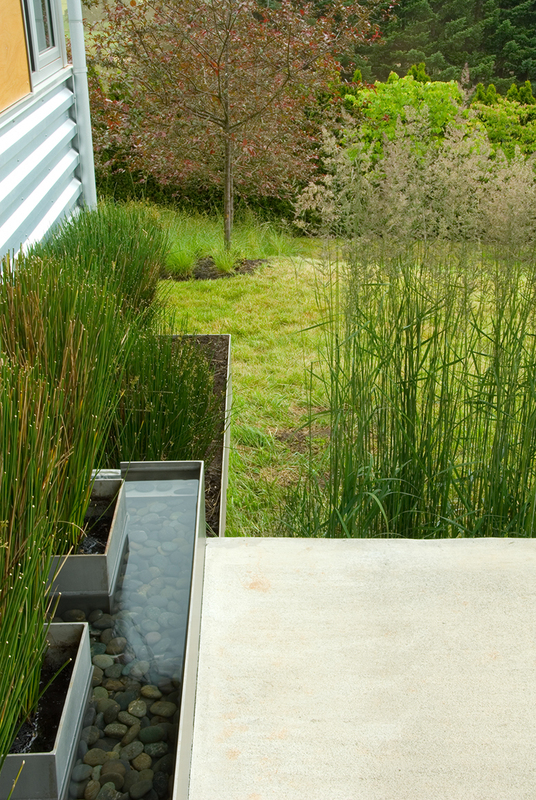 A simple and linear landscape complements the clean lines of the architectural concept. The natural topography of the site was maintained, and cor-ten steel sculpts a plane of grass above a meadow. 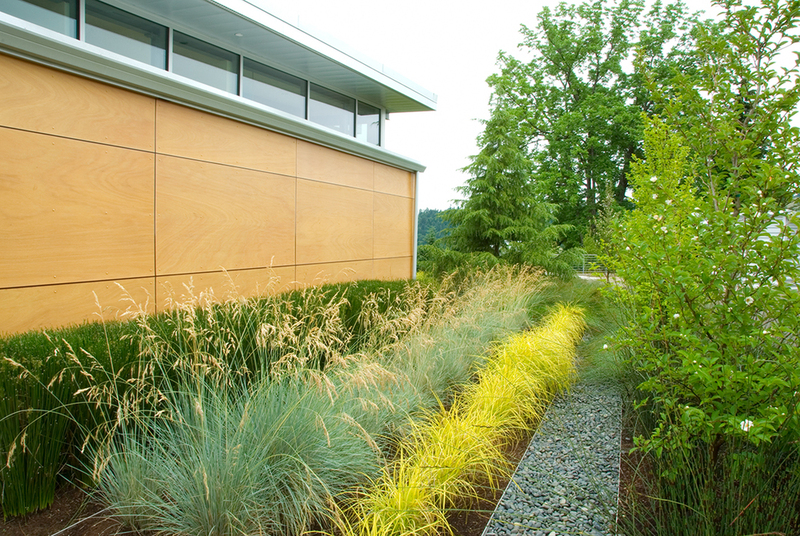 Diverse planting materials reflect the lush, vibrant colors of the Pacific Northwest.